So this style of guidance lets me and the model move easily from genre to genre, theme to theme. I can say "give me some attitude" and we are in a different place. Of course, each model's interpretation is different, I might want a "power" pose, they may think of an "angry" pose. So more tuning and suggestions may be needed. 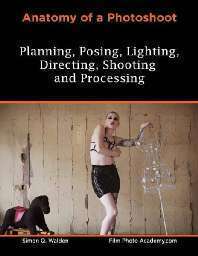 There is a lot of shorthand in the industry, when both the photographer and the model have been working for a while it is easy to call out pose styles almost by the numbers. "The Funky Chicken", "The Titanic", "Pre-Raphaelite", "Snooty Cow". Don't worry, you don't need to learn them as a photographer.